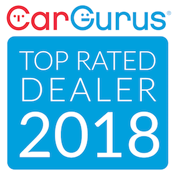 Welcome to Cannon Auto Retailer! Welcome to Cannon Auto Retailer, your source for used cars in Kannapolis, NC. We have a large selection of quality used cars, trucks, and SUVs for you to choose from. Worried about financing your new Cannon Auto vehicle? Cannon Auto Finance can help! Find out more information about our buy here pay here financing and other financing options by visting our Apply Online page. We have many options available for financing your next pre-owned vehicle from Cannon Auto Retailer. Whether you have good credit or less than perfect credit you are in the right place. Buy here, pay here through Cannon Auto Finance is simple, fast, and hassle free! Start by applying online!